I have a habit of bringing people and communities together, this means I can’t seem to help myself setting up or getting involved in running meetups (my current count is at six*). Faced with not enough time to devote to my existing meetup, I naturally decided to start a new one. This time a remote one. My job has me travelling a lot. My most recent gig is far outside London and I currently spend at least 12 hours a week on trains, tubes and taxis. This doesn’t leave me with a lot of time to organise or attend meetups. This made me a bit sad. I enjoy learning new things and creating the space for others to learn. I’ve recently been working with a few distributed clients and have had practice running remote workshops. 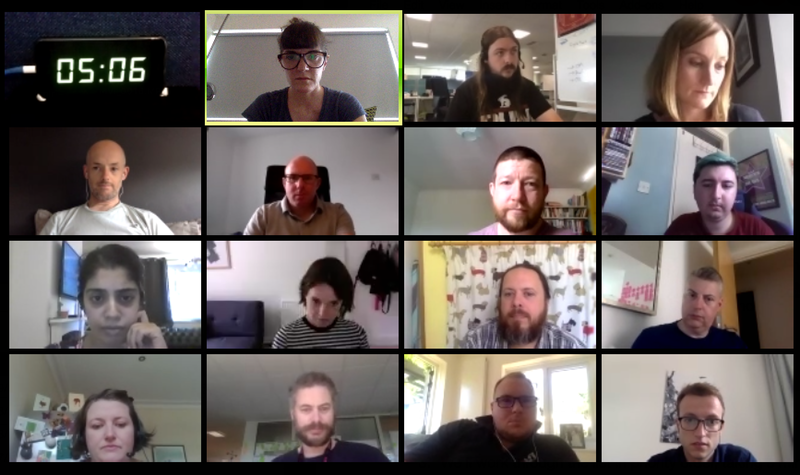 This sparked the idea to create a remote meetup that I could fit in around my busy diary, or at least have a chance to. I’ve run it a couple of times and it’s worked pretty well. It takes decent online tools, some preparation, careful facilitation and some remote meeting rules. I’m really interested in the potential it has to bring people together from all over the place, which couldn’t happen with a physical meetup. The last get together had participants from as far apart as Kendal and Plymouth, I hope we get some folk from outside the UK in the future. I also hope the format will open up the meetup to people that can’t always go to evening events. Join the mailing list if you want to hear about the next meetup. Hi Emily having worked in London for a long time where meetups are plentiful, I then realised what I was missing working in the West Midlands and more recently Oxford. Luckily I am back in London, but would love to support and participate in Agile in the Ether. Look forward to the first session. The last meetup had people from Dublin and South Africa – we went international!